Wrap your body in the comfort of pumpkin spice. This highly moisturizing formula quickly absorbs into your skin, leaving behind only a delightful fragrance from essential oils. 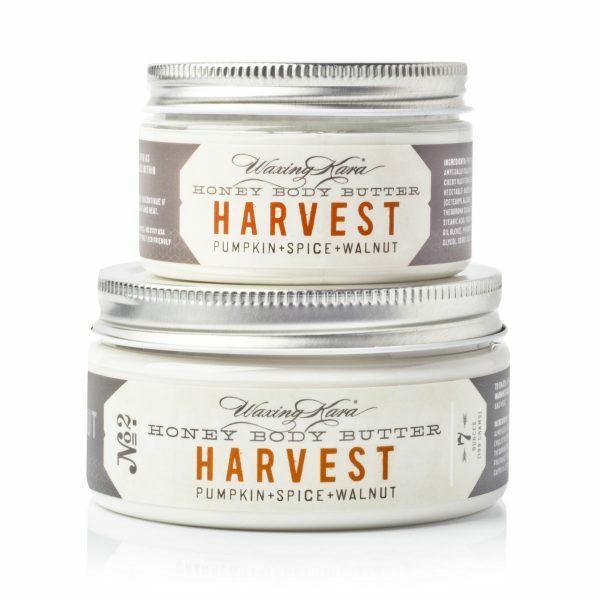 Warm your soul and soothe your skin all autumn long with this Pumpkin Body Butter. Warm, spicy, and earthy, Harvest Pumpkin Body Butter wraps you in a cozy scent you’ll enjoy all fall and winter. A blend cinnamon, clove and nourishing botanicals. Harvest warms the skin and provides long lasting moisture perfectly timed for Autumn. Who it’s for: Perfect for those who love the warm scents of fall, and those in need of some serious hydration for their skin. Appropriate for all skin types. 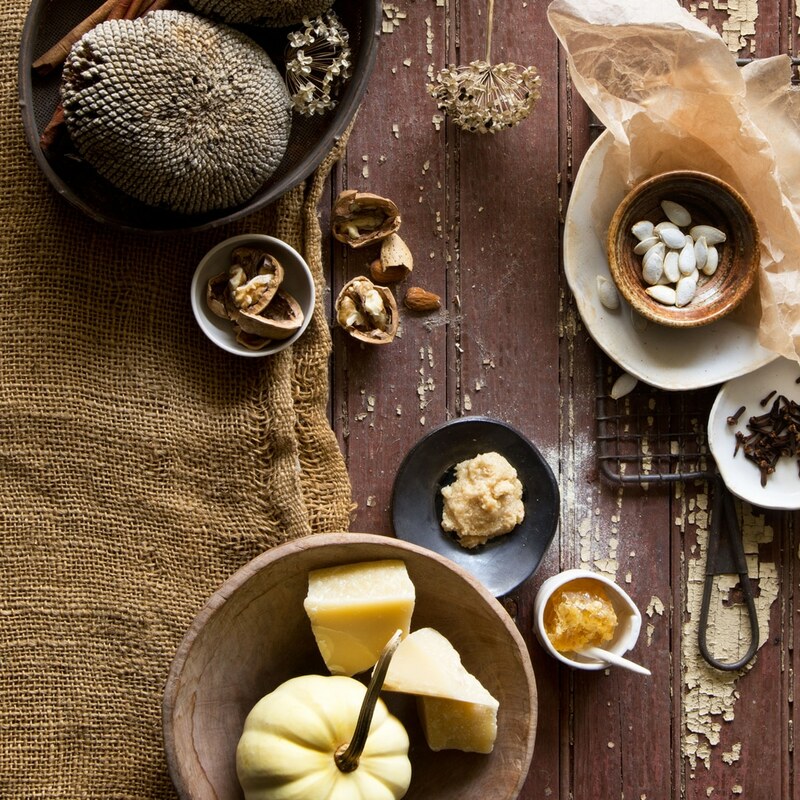 Fragrance: A warm and gentle earthy mix of pumpkin, cinnamon, and clove. How to use: Best applied to slightly damp skin to trap in moisture. Rub between your hands to warm before applying. Once opened, best used within six months. CAUTIONS: Contains nut ingredients. External use only. Discontinue if irritation occurs. Store away from light and heat. Made by hand right here in the USA. Phthalate, paraben, sulfate, artificial ingredient, and cruelty free 90% natural.